For STEM Friday we’re thrilled to be taking part in a blog tour for the picture book All Eyes on Alexandra by Anna Levine and illustrated by Chiara Pasqualotto. Millions and millions of birds migrate through Israel on their way to Europe, Asia, and Africa. All Eyes on Alexandra is the fictional story of one young stork who has trouble following the rest of the flock as they prepare for the big trip. Readers will soon learn, however, that those who have trouble following might have other talents instead. The illustrations are full of action and fun. They were done by Chiara Pasqualotto, who was born in Padua, in northern Italy, and who currently teaches illustration and drawing classes to children and adults, in particular in Padua during the summer at the Scuola Internazionale di Comics and in Rome. To help youngsters figure out which crane is Alexandra in each illustration, Chiara has wrapped her neck with a bit of red string. Although an unusual tactic, it seems to fit right in with Alexandra’s dare-to-be-different character. All Eyes on Alexandra is a perfect example to show that STEM books don’t have to be nonfiction. It introduces children both to an amazing natural phenomena, a massive bird migration, and also to a personal story that they might be able to relate to their own lives or families. Those who love fiction are introduced to facts and those who love nonfiction are introduced to stories. It is win-win. It would also be useful to share before a trip to Israel because it mentions and shows several locations to visit. Children might pretend they are Alexandra and find out more about each site online, which is likely to help them prepare and perhaps excite them to discover more. I know I’m inspired to sign up for a bird watching trip after reading it. It is a lovely and versatile picture book. Let All Eyes on Alexandra take you on a journey today! 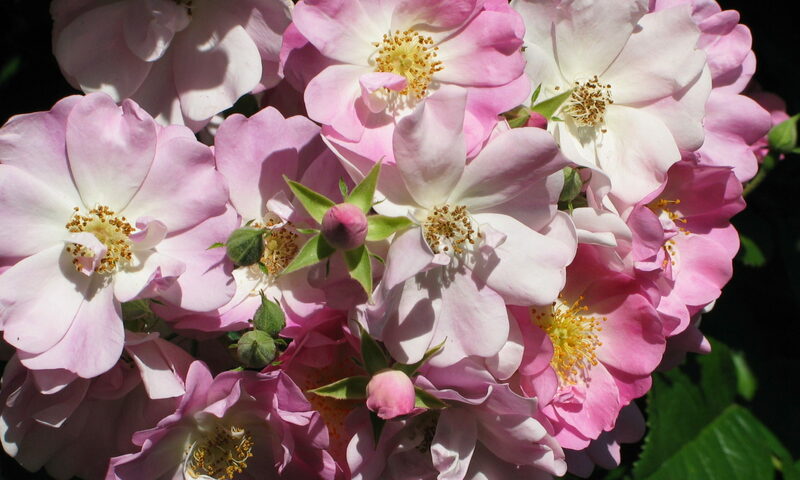 Author Anna Levine has three awesome activity suggestions to accompany the book at our sister blog, Growing With Science. Visit Erin’s blog again where you can read Anna Levine’s blog post featuring activities for young children to explore their world. Visit Cassandra’s blog again where you can read Anna Levine’s blog post about naming your characters.– oh, I need this one. Visit author Anthony Avina’s blog again where you can read Anna Levine’s blog post about using fiction to write non-fiction. **can’t wait to see this. Disclosure: This book was provided electronically by the author for review purposes. Also, I am an affiliate with Amazon so I can provide you with cover images and links to more information about books and products. As you probably are aware, if you click through the highlighted title link and purchase a product, I will receive a very small commission, at no extra cost to you. Any proceeds help defray the costs of hosting and maintaining this website. 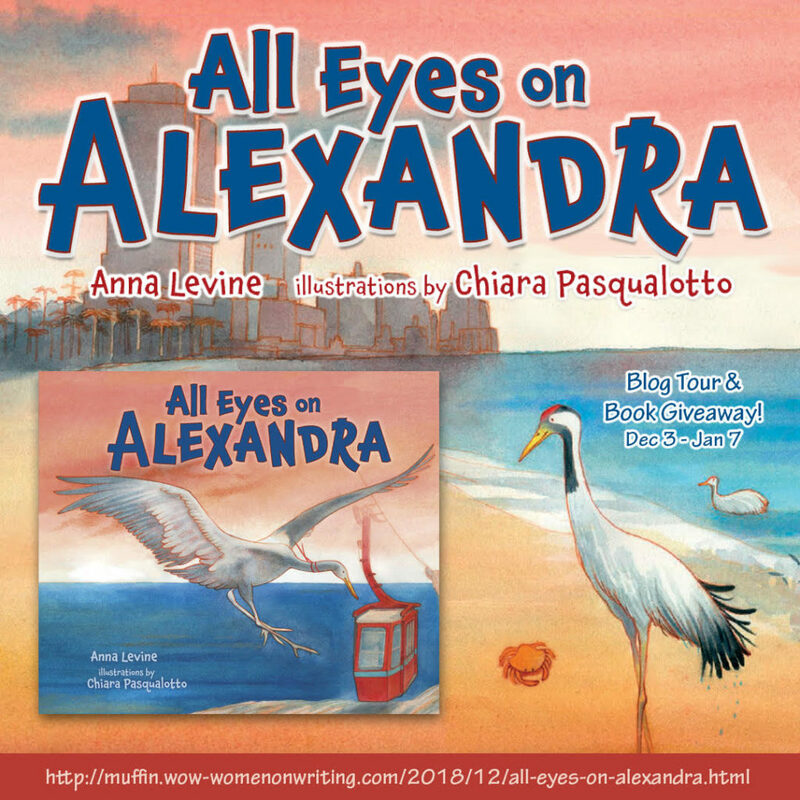 I’m excited to announce that next week I’m going to be part of a blog tour announcing the new picture book, All Eyes on Alexandra by Anna Levine and illustrated by Chiara Pasqualotto. Young readers learn about the real crane migration. What goes better in the morning than a muffin? Make sure you visit WOW’s blog and read an interview with the author and enter for a chance to win a copy of the book All Eyes on Alexandra. –Direct link to post. Visit Erik’s blog where you can read Anna Levine’s guest post about how to jog your inspiration. I’ll be sure to catch that one. Visit Anthony Avina’s blog where he joins in the fun of celebrating and shares information about Anna Levine’s book All Eyes on Alexandra. Visit Lacey’s blog again where you can read Anna Levine’s guest post about designing your ideal writing spot. – I need help with this, so I’m looking forward to it. Can’t wait for more next week. Thanks to blog tour manager Nicole Pyles for organizing this event and providing the materials.